Baked Cheesy Sausage Penne is ultimate comfort foods. 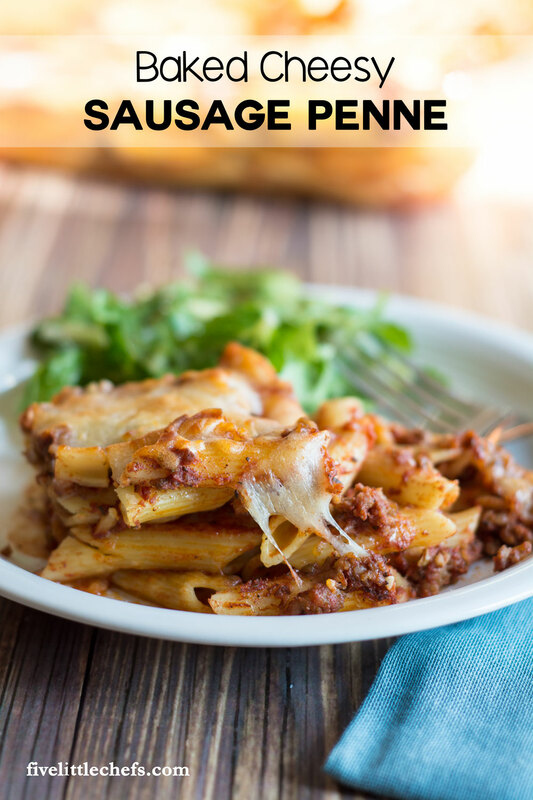 Use penne pasta, italian sausage and lots of mozzerella cheese to make it as cheesy as you want. Dinner is easy on the table within an hour, making for a great weeknight meal. This pasta dish is great for a crowd. It can be made within an hour when you have unexpected company. Grab an extra pound of italian sausage and freeze it for your next meal. The other ingredients are more common and probably already in your pantry and fridge. 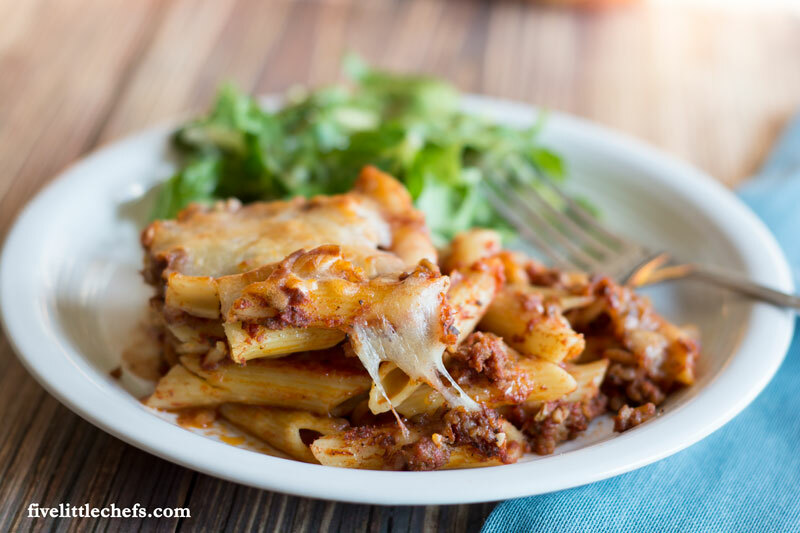 My family loves this baked cheesy sausage penne! Preheat oven to 250 degrees F. WIth a non stick spray coat a 9 x 13 inch pan. Fill a large saucepan with water. Bring to a boil. Add 1 teaspoon of salt and the pasta. Stir once. Cook according to package instructions until al dente. Drain the pasta well, set aside. Meanwhile in a large saute pan over medium high heat add the sausage. Break up the sausage a bit and then add the onion and garlic. Continue stirring and breaking up the sausage until fully browned, about 15 minutes. Drain the sausage well. Add to the sausage the tomato sauce and the Italian seasoning. Combine well. In the 9 x 13 pan layer as follows; half the pasta, half the sauce, half the cheese, remaining pasta, remaining sauce, remaining cheese. Bake for 20-25 minutes, or until cheese just begins to brown. Remove from oven and serve immediately. No Replies to "Baked Cheesy Sausage Penne"